The sign that says Radish Express seems to have been taken apart by the weather or something, but the menus all say Radish Express. 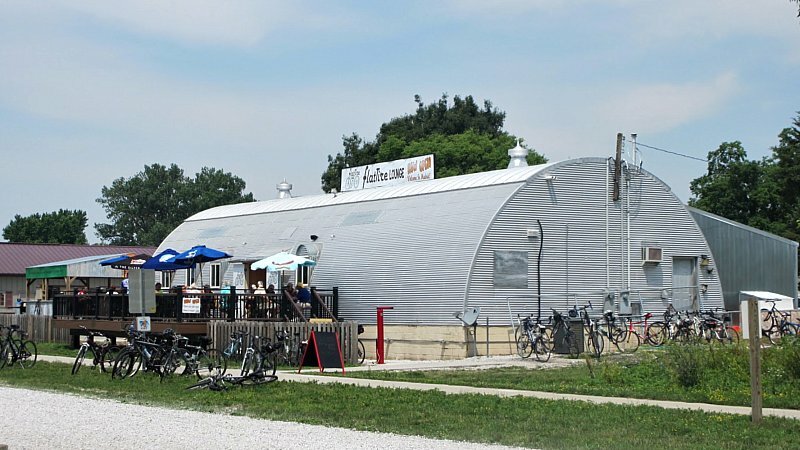 The people behind The Radish Restaurant in Grimes have set up shop here beside the Flat Tire Lounge serving the patrons in this biker bar beside the trail for the summer. Location: 304 S Madison St in Madrid, just north and west of Greater Des Moines. Directions: Its the huge building by the bike trail on the road into Madrid, pretty hard to miss. 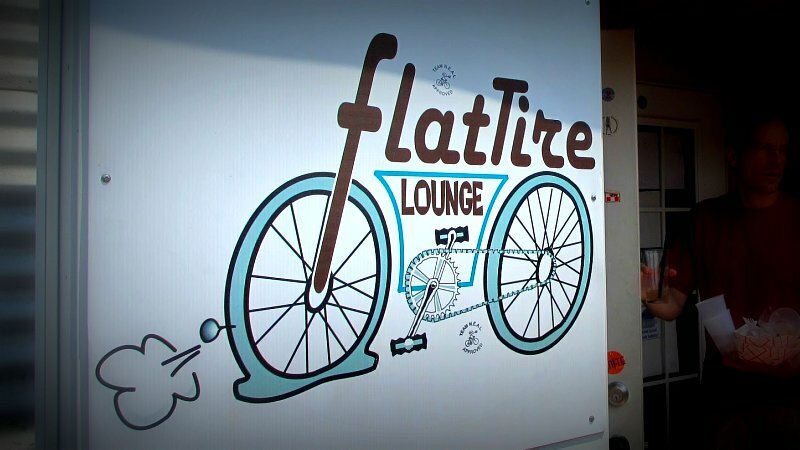 Online at: Website for Flat Tire Lounge is HERE. for The Radish in Grimes is HERE. 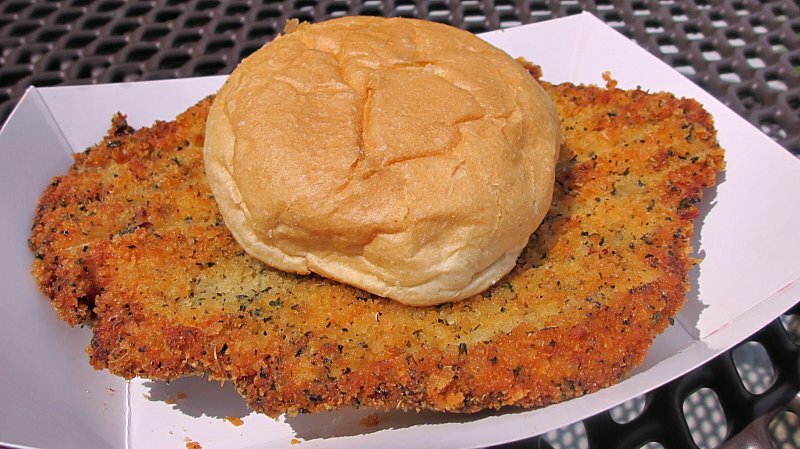 The Tenderloin: Listed on the menu as a breaded pork loin sandwich. 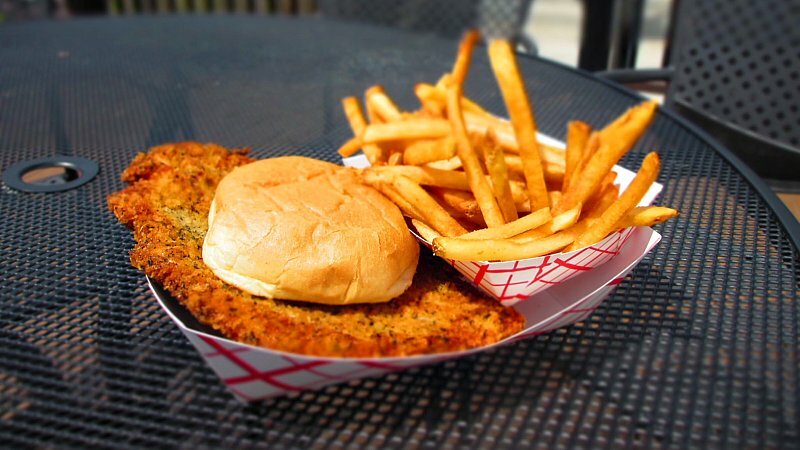 The tenderloin here looked great with its perfect golden brown color and the visual appeal of the spices forming little dots in the breading. 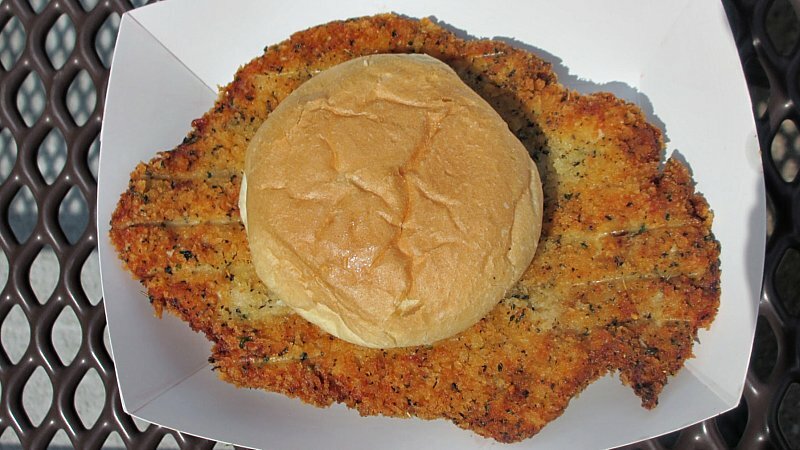 The bright white pork loin meat beneath was pounded out a little too wide and was thin and on the dry side. Other parts were thick with chewy texture and untrimmed fat. The bun was toasted to a dry texture as well, and the fries were a little overcooked, so everything on my basket was just overdone. Overall 7.0 out of ten. Price: $8.00 the fires were $2.00 more. Also on the Menu: Wraps, sandwiches, a grilled pork loin sandwich, full brunch in the morning and a full drink menu inside. Service: The bar area serves drinks and the Radish Express has a walk-up counter. Ambiance: This bar serves the visitors to the busy bike trail and it was packed when I visited. There is a patio outside and a large bar area inside. They let people wearing bike gear inside. There is even a pump outside in case your bike has a flat tire. Final Thoughts: The Radish has developed its reputation as the place to dine in the fast growing suburb of Grimes for its luxurious Brunch and dinner options. Serving up food to the crowds, and I mean CROWDS, of people sound like a good match. I don't really even know when they start up or end their summer gig here.